WHY am I a member of the Domain Eukarya? Because my cells possess a true nucleus and membrane-bound organelles! The alternative domains, Bacteria and Archaea, are prokaryotic which means that their cells do not possess a true nucleus. A few other eukaryotes are: diatoms, amoebas, and radiolarians. WHY am I a member of the Super-group Archaeplastida? Because I am photosynthetic and I exhibit an alternation of generations of course! Other groups that are related to me through this super-group are the red and green algae! WHY am I a member of the Kingdom Plantae? I am a proud member of the kingdom Plantae because, like my fellow plants, I provide some sort of protection for my embryos. Also, I exhibit an alternation of generations that includes both a multicellular haploid and diploid phase in my life cycle. Additionally, I have a cell wall, chloroplasts, and chlorophyll which help me maintain my autotrophic life style! Liverworts, horsetails and licorice fern are also plants. WHY am I a member of the Sub-kingdom Tracheobionta? Because I am a vascular plant! I have special vascular tissue, xylem and phloem, to help me transport things such as water and nutrients throughout my entire body. 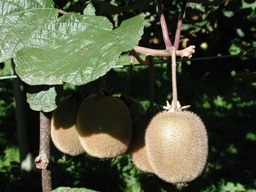 A few other members of the Tracheobionta include: kiwifruits, ferns, and pine trees. WHY am I a member of the Phylum Magnoliophyta? You may have heard this phylum called the angiosperms. This means that I am a flowering plant. I produce a fruit that protects my ovaries and seeds, and I also have endosperm which is nutritional tissue for my embryos. I have a seed coat and tough leaves which makes me resistant to drought and cold. I usually use insect pollination instead of wind pollination so I don’t have to produce as much pollen to reproduce which saves me a lot of energy! Many organisms are classified as angiosperms ranging from delicate daisies to the large box elder trees. WHY am I a member of the Class Magnoliopsida? Because I am a dicotyledon! This means that my embryos have two cotyledons and my seeds are sectioned down the middle and can be split in half. My flower parts come in groups of fours or fives, I possess a netlike leaf venation, and my primary vascular bundles are arranged in a ring which allows me to have secondary growth. Some other dicots are sunflowers, peas, roses and the miracle tree. WHY am I a member of the Order Apiales? Because I have small, simple flowers that consist of one ovule for each floral chamber, I can both self-pollinate and be pollinated by several different organisms so I can be widely distributed. I am one of about 3500-4000 species in this order. Ginseng is also in this order. 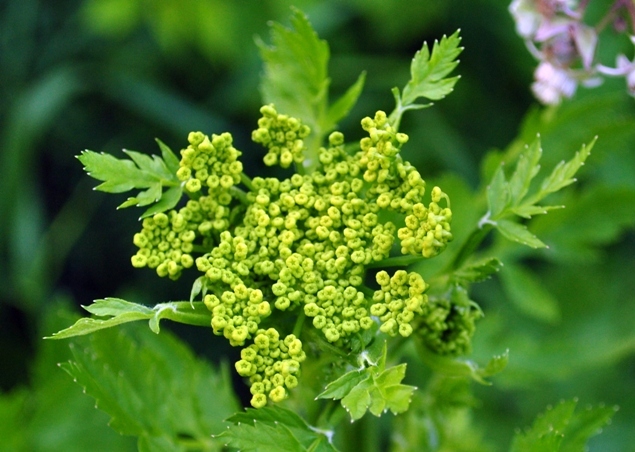 WHY am I a member of the Family Apiaceae? My family may also be known as the Umbellferae. I fit perfectly into this family because I have a hollow stem. I am an herbaceous plant just like most of my relatives in the family. I usually exhibit inflorescence (I have either a single or compound umbel) because my flowers are so small that my pollinators might not even notice me if my flowers weren’t grouped together! Some other member of my family I’m sure you’ve heard of include: dill, celery, and fennel. WHY am I a member of the Genus Pastinaca? Because I am a parsnip! My species Pastinaca sativa is currently the ONLY recognized species in the Pastinaca genus in North America. I am known for my flattened fruits, and hundreds of small yellow flowers. Even though you can’t tell at first glance, I have a thick, funnel-shaped white taproot that can reach up to 1.5 meters underground! Most parts of me are edible; you can even eat my roots raw! My seeds can be used to make a condiment and my leaves and stems can be used as a spice. However, I am not harvested while I am in bloom. HOW did I get my common name? There are several different hypotheses of what my name literally means. However, it is most likely that my genus Pastinaca is derived from the Latin word pastus which means food. My species sativa means “sown” in Latin, which indicates that I have been cultivated. So, my name literally means cultivated food. I also have many common names that different people like to call me such as; parsnip, bird’s nest, hart’s-eye, heeltrot, hockweed, madnip, queen weed, and tank. 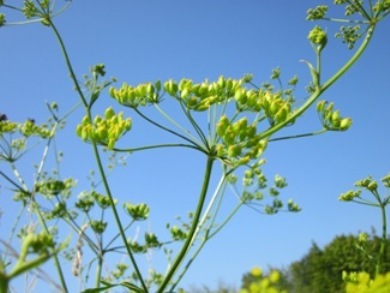 There are only very obscure differences between me, wild parsnip, and cultivated parsnip. This phylogenetic tree begins at my domain and ends at my kingdom. This is a generalized tree that illustrates my oldest ancestors in the tree of life, originating with the eukarya. 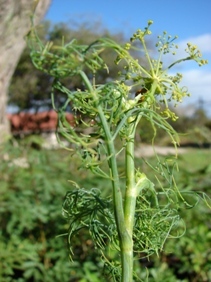 This tree was modified from Biology: Eight Edition (published by Campbell Reece), and is based on rRNA gene sequencing. 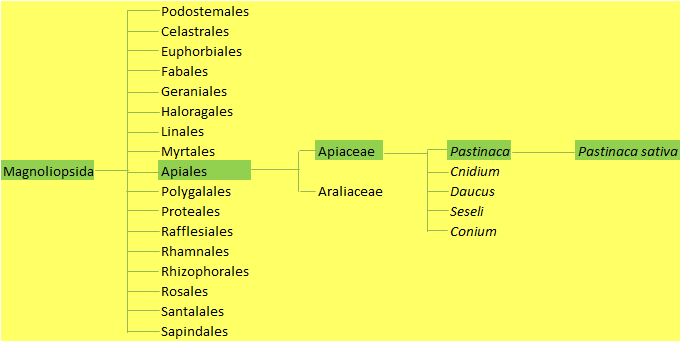 This phylogenetic tree illustrates the lineage of Pastinaca sativa from its class (magnoliopsida) all the way to its species (Pastinaca sativa). This tree was derived from the taxonomic hierarchy available on the USDA plants database. This taxonomy is mostly based on morphological characteristics, but also considers gene sequencing. Modified 4/19/2013 by Hannah Strombom. Copyright Template Design © 2007 Travel Portal. All Rights Reserved. Designed by Free CSS Templates.